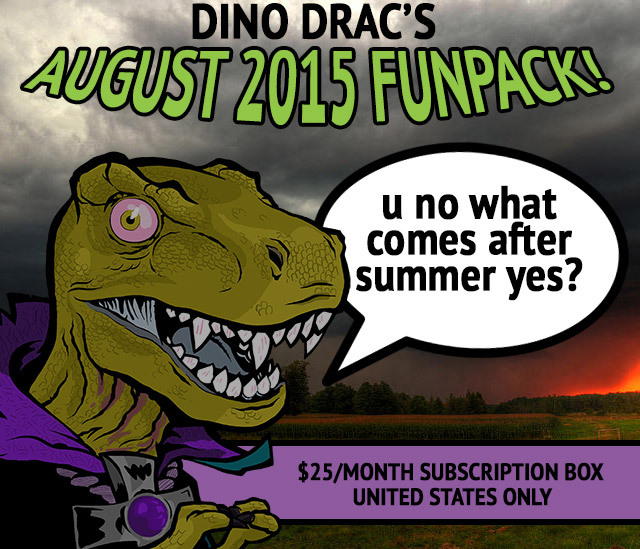 Dino Drac's August 2015 Funpack! | Dinosaur Dracula! 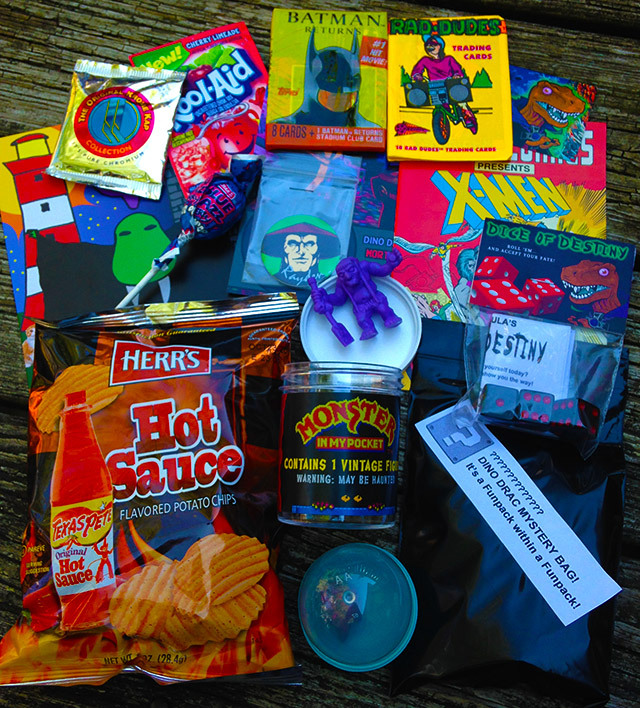 Dino Drac’s August 2015 Funpack! 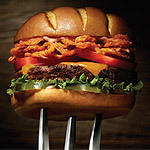 It’s here, it’s here! 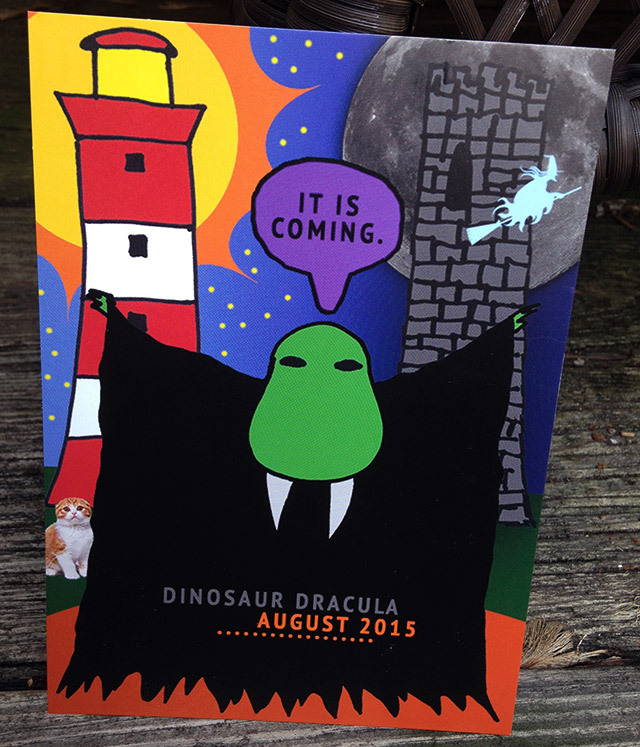 Dinosaur Dracula’s August 2015 Funpack is available now! 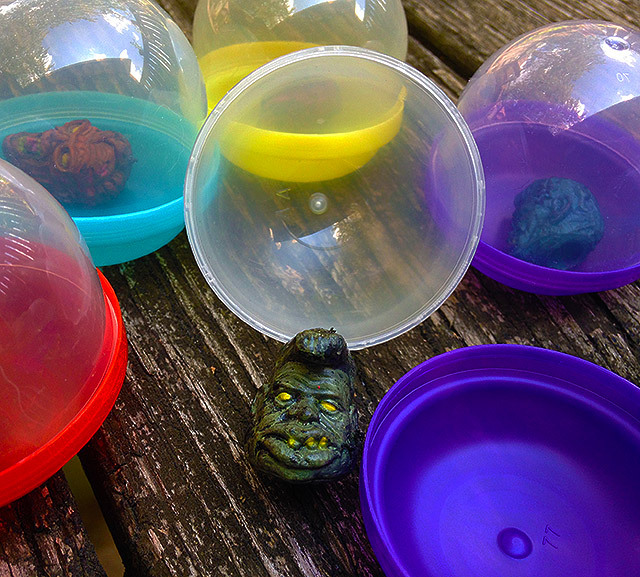 Selling these Funpacks is what enables me to continue running Dino Drac, and as we head into the site’s most expensive months — the Halloween Countdown is coming, after all — every subscription counts! You can skip to the bottom of this post for more subscription information. First, let’s see what’s in store for August! The theme for this month is “Summer into Autumn.” Every box includes some bright and sunny things… and then some things from the dark side. 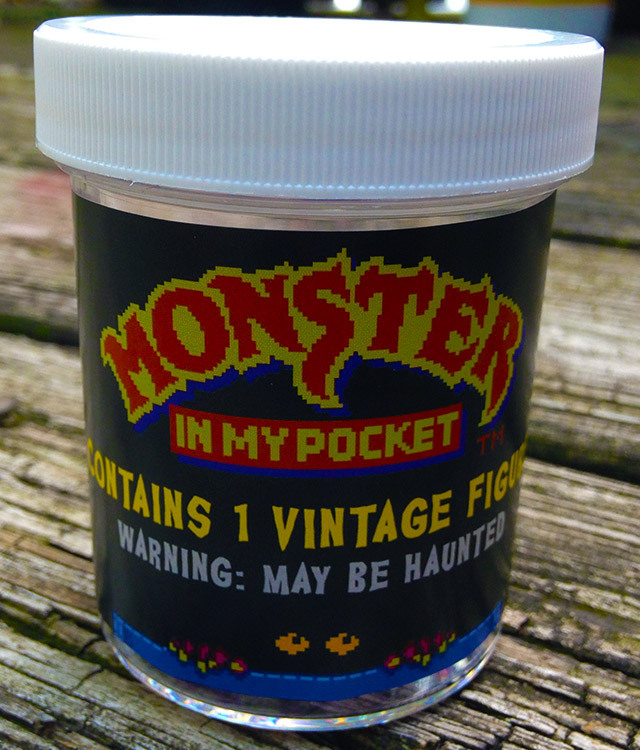 Every subscriber will receive one vintage Monster in My Pocket figure, adorably trapped in a custom Dino Drac jar! 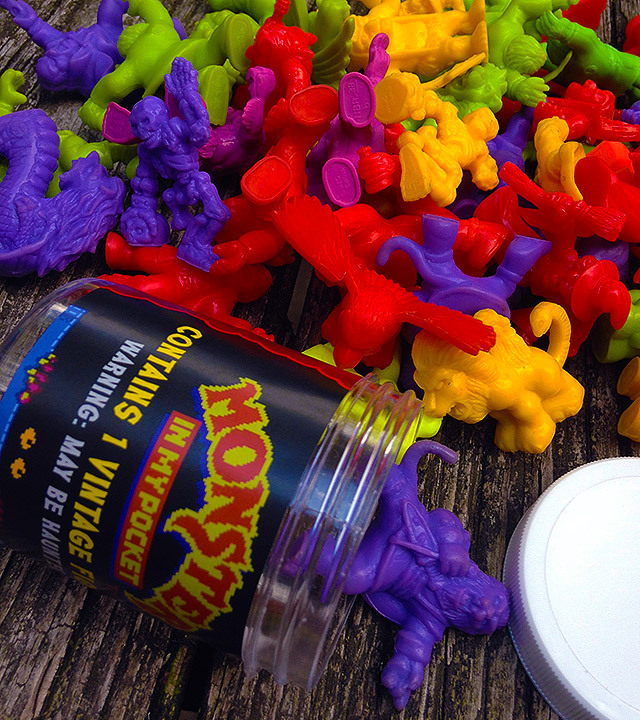 For those who don’t recall, Monster in My Pocket was an amazing line of little, colorful monster figures, made by Matchbox in the early ‘90s. I’m drawing exclusively from the first series, too, so no matter which figure you receive, it will definitely be one from the original set. No figures are being held back — including the rarer ones! Okay, now it’s time to GET WEIRD. 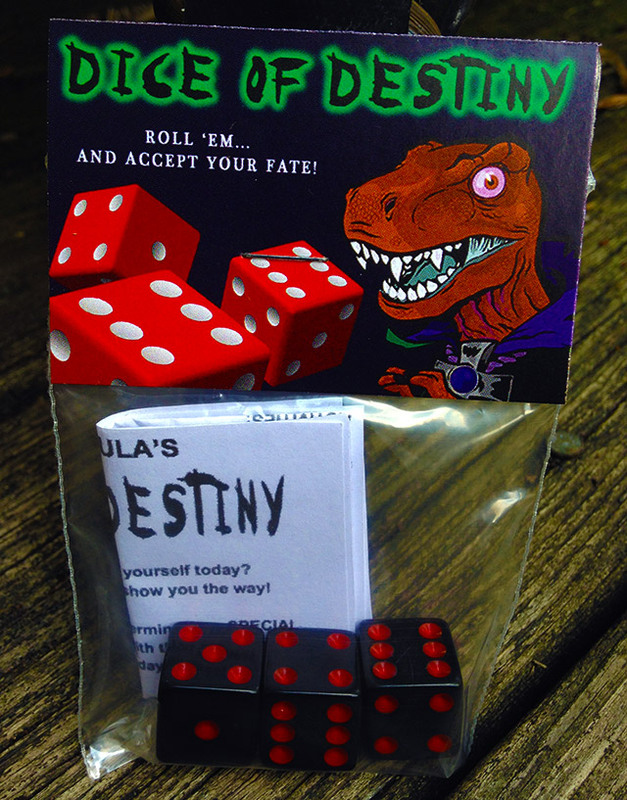 Every subscriber will receive Dino Drac’s Dice of Destiny, a custom-packaged game that has the potential to keep you occupied for WEEKS. Roll the three MAGIC dice, and match your number to the included instruction sheet. Then you’ll learn which activity you MUST do on that day. There are over 20 possible activities, ranging from “go to the movies” to “make a robot out of a soda can.” If you can never think of what to do with yourself, Dino Drac’s Dice of Destiny will show you the way! No Funpack is complete without a bunch of old trading cards. 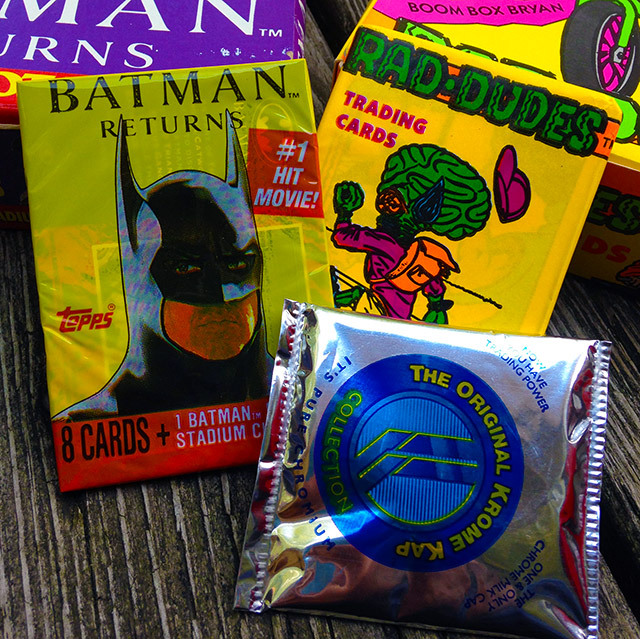 This month, every subscriber will receive one pack of Batman Returns cards and one pack of Rad Dudes cards. I’ll also throw in a curiously foil-wrapped package of pogs! 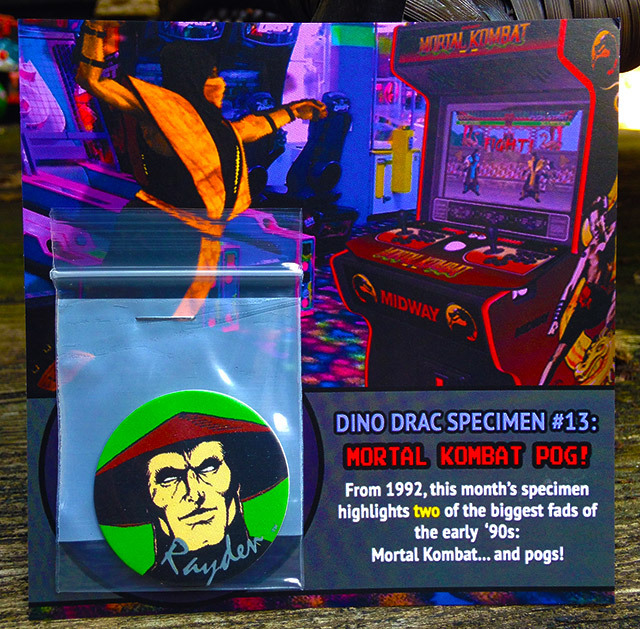 …and speaking of pogs, the August 2015 Specimen brings each of you one vintage Mortal Kombat pog, from 1992! 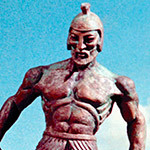 Each pog features one of the main warriors. Pogs are bagged and stapled to custom Dino Drac display cards, too! You may have caught my Facebook celebration over having found a “Heads of Horror” vending machine. If you’re lucky, there’s one near you. 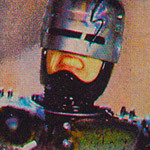 If not, no worries, because every subscriber will receive one Heads of Horror toy, suitably trapped in a vending machine capsule! Every Funpack comes with stuff to eat. 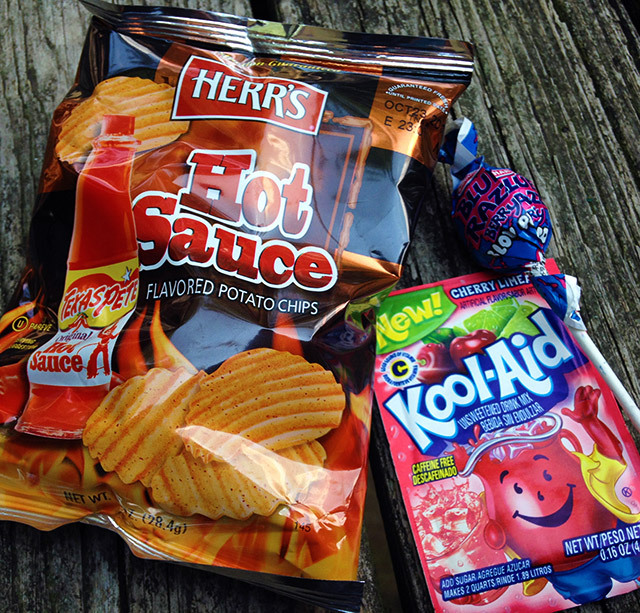 This month, you’ll receive a weird bag of Herr’s potato chips, spiced with Texas Pete hot sauce. YOLO, right? 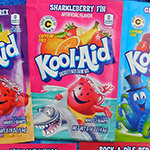 You’ll also receive a packet of Cherry Limeade Kool-Aid, and a Blue Razz Berry Blow Pop! 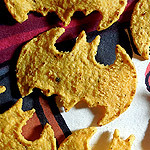 As always, it’s my goal to make you snack like you’re in the second grade. 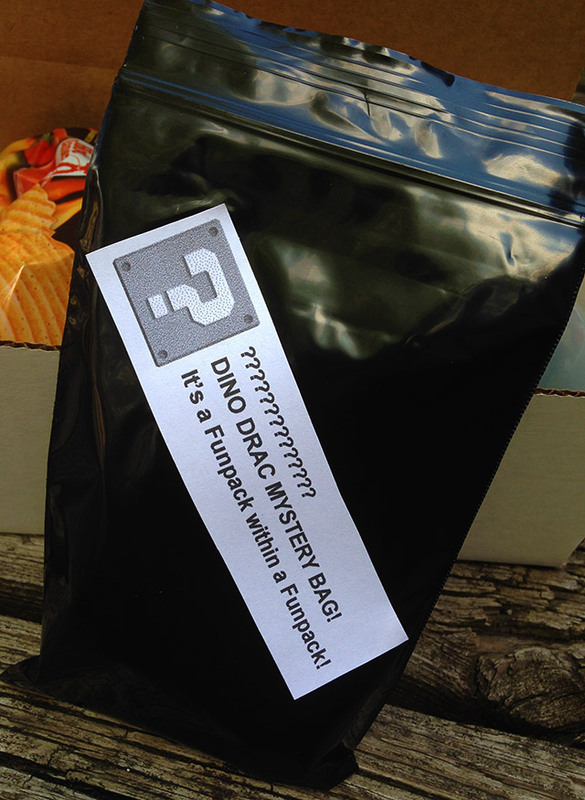 …last but not least, I’m resurrecting the Dino Drac Mystery Bag, which seemed to be a big hit the last time I made ‘em. You can consider this a Funpack within a Funpack! Each is stuffed with a few random items, from cards to stickers to little toys. 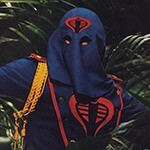 No two will be exactly alike! 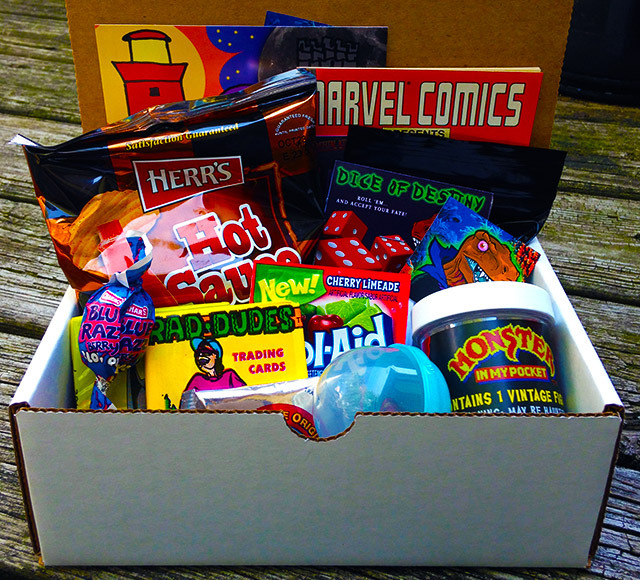 You’ll receive everything shown above, plus the August 2015 Funpack newsletter! GOOD ENOUGH? If you’d like to sign up, please read the following, and then click on the button at the bottom of this post! 6. 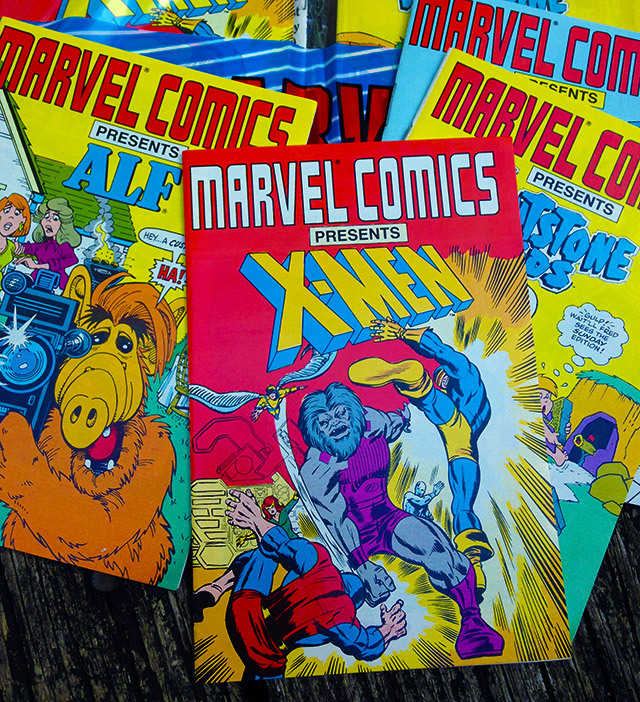 The August 2015 Funpacks will ship on or before 8/14! Sorry, the July Funpacks have sold out! If you’re still interested, please email me and I’ll double-check quantities. Thanks!